I had finally arrived in Japan. 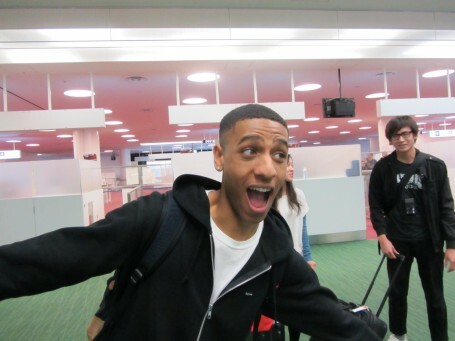 This is the face you make when you have waited 20 years to experience something and it finally happens. I never dreamed an airport could constitute such a significant accomplishment, but nevertheless I found myself overjoyed having finally arrived in Japan. The last born of several cousins on my father’s side of the family, I could often do nothing but listen as they discussed their personal experiences in Japan, as well as how those experiences granted them further insight into that particular aspect of our heritage. Arriving here has undoubtedly brought me to the realization of just how much I have left to learn about myself, and I could not be more eager to begin. Right before leaving for LAX my Aunt told me that the biggest difference between Japan and America was that the people here were “absolute,” and genuinely threw themselves into the task at hand. I intend to be nothing short of that during my stay here, as I am finally able to witness first hand what my family has made out to be a fairy tale. I have arrived. 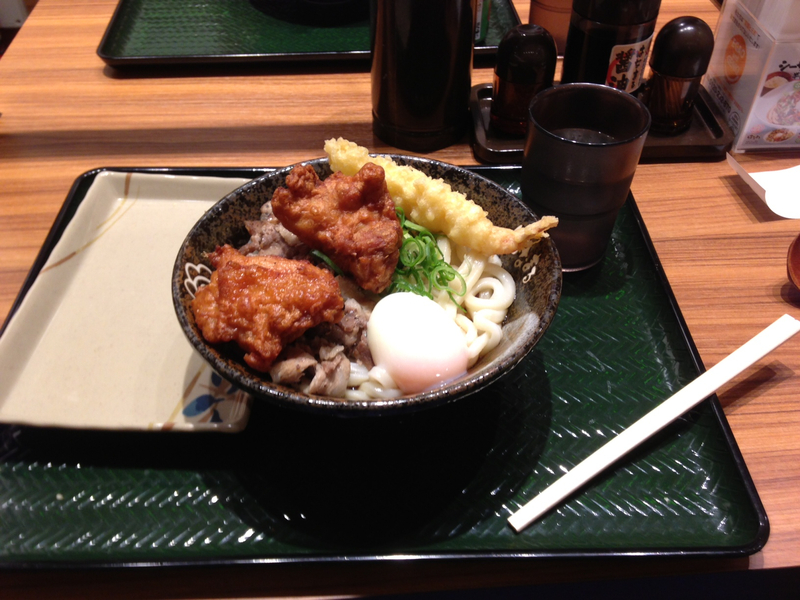 My first meal in Japan: Hanamaru Udon. My first authentic Japanese dish: udon noodles with fried chicken, shrimp tempura, pork, and an egg. The meal was delicious (as Kalai, Evan, and Yael can attest), but what I found more impressive was the hospitality. As our little group of American young adults stumbled into Hanamaru Udon, jet lagged at 8:15 in the morning, the chefs greeted us like celebrities coming in to eat at prime hours. For me this was a thought-provoking reminder of two things easily forgotten back home: life is about doing what makes you happy, and only you can decide how happy you are. I could earnestly do nothing but match their smiles with one of my own, and I appreciate both chefs for giving me both a meal and an experience. This was also my first time using ‘real world’ Japanese, and if only for a few seconds, I was admittedly proud that years of studying and practice had finally come to fruition. 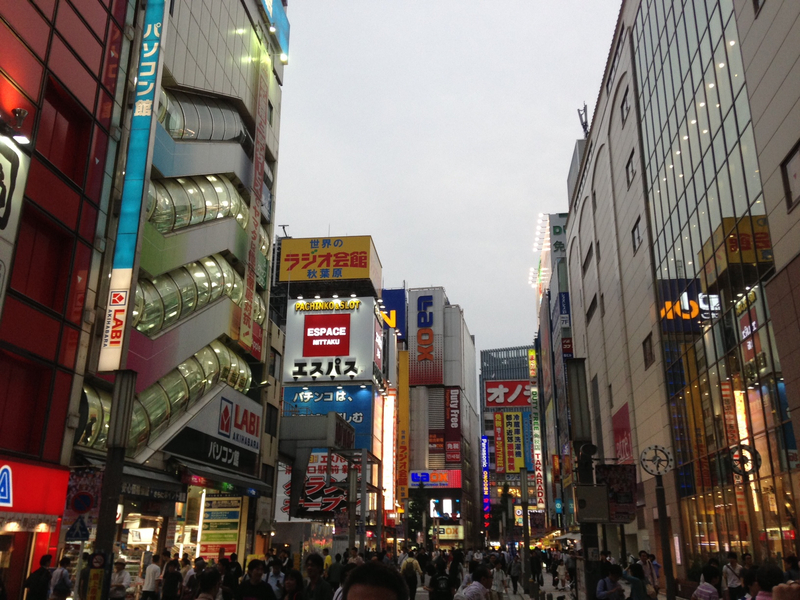 Akihabara and all it’s glory. A self-declared manga/anime and game nerd, for years I visualized a place where people like me could come together and bask in our love for Japanese art in its multiple forms. 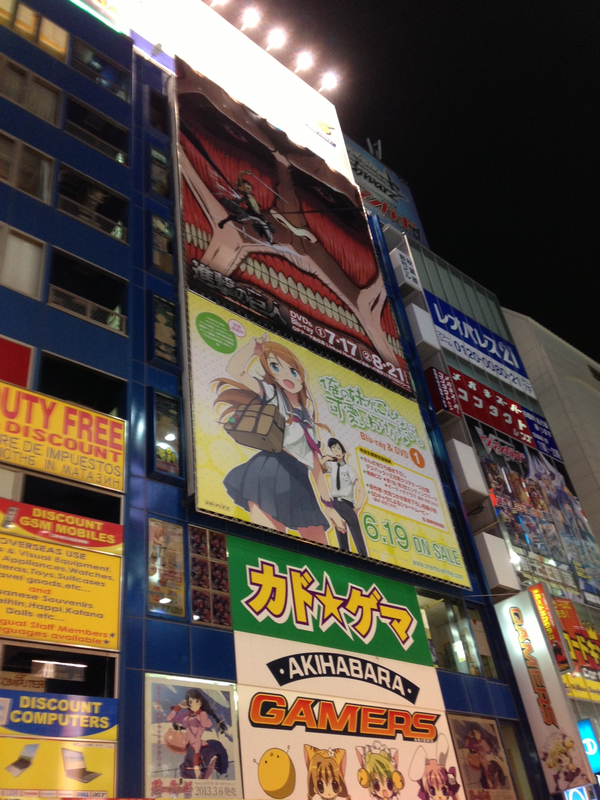 Until arriving in Akihabara, I was under the false impression that the closest thing I was ever going to get to this magical dreamland was the Anime Expo. However, as Jairo and I discovered together, Japan has seemingly designated Akihabara as the place in which passion for Japanese creativity is both legitimized and celebrated. From smoke filled rooms of sweaty gamers fighting for bragging rights, to billboard-sized advertisements of my favorite anime, Akihabara is truly a regional embodiment of fun. Witnessing it first hand has taught me that I may have nerd-like hobbies, but first and foremost I simply have an appreciation for this part of Japanese culture shared by several individuals not unlike myself.